North and South Korea will open a joint liaison office this week to improve cross-border communications and exchanges, Seoul said Wednesday. The office is a significant move in thawing relations between the two countries, and follows a meeting this month between the North’s leader Kim Jong Un and a South Korean presidential envoy. Seoul’s unification ministry said the office would become a “round-the-clock consultation and communication channel” for advancing inter-Korean relations, improving ties between the US and the North, and easing military tensions. At a historic meeting in June between US President Donald Trump and Kim, the two leaders signed a vaguely-worded agreement on denuclearisation of the Korean Peninsulatouted by the US leader as a breakthrough deal to end the North’s nuclear programme. The US claimed there had been little progress made since then, prompting Trump to abruptly cancel Secretary of State Mike Pompeo’s planned trip to Pyongyang late last month. The opening of the officeinitially scheduled for last monthwas delayed amid the diplomatic deadlock. But the atmosphere drastically improved after Kim met with the South Korean envoy in September, and Trump warmly reacted to a personal letter from Kim offering a second summit with the US. 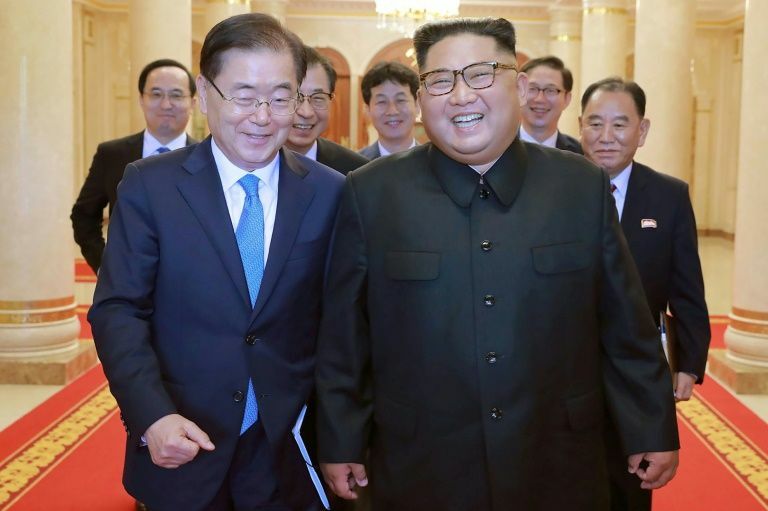 Seoul said the office will become operational immediately after the opening ceremony on Friday, with Unification minister Cho Myoung-Gyon and his North Korean counterpart Ri Son Gwon both taking part. Both sides will deploy some 20 officials each, the ministry said. “We expect that South-North Korean relations will be managed in a stable manner through 24-hour communications, 365 days of the year”, the unification ministry said in a press statement. The office will be located at what used to be the Seoul-invested industrial zone at the North’s Kaesong Cityshut down in 2016 amid heightened tensions over the North’s nuclear development.